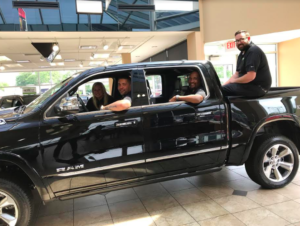 Employee Advantage Must Register Before June 14 | Ray Laethem Chrysler Dodge Jeep Ram " "
Attention FCA Employees & Retirees. Final Days- Registration Must Be Completed Before This Thursday, June 14th. New employee purchase program instructions. You must register your family members before June 14! The following is the bulletin from FCA with instructions and links. Register your family members eligible for the EP vehicle discount on the Employee Advantage website. 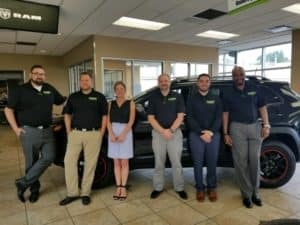 Click here or go to www.ea.chrysler.com and select Register Eligible Family Members. Step 1: Select the relationship to you from the drop-down menu. Step 2: Enter name and birthdate. Step 3: Click Save & Continue when complete. As family members are added to the Registration page, they can be modified or deleted on the Add and Manage Buyers page during the registration period. All control numbers will be sent to your work (FCA) email address and personal (home) email address, if provided in My Profile on the homepage of Dashboard Anywhere. Providing a personal email address will allow you to access control numbers at any time. You will be responsible for providing the control number to the buyer. Control numbers will no longer be visible on the Employee Advantage website, at the Call Center or at dealerships. To request a control number, go to the Employee Advantage website and select Generate Control Numbers. Select Employee Purchase and the buyer from the drop-down list of family members you created. If you need to add an additional family member to your registered eligible family member list after the registration window closes, you will have one (1) opportunity to add one (1) eligible family member in the Add and Manage Buyers section on the Employee Advantage website. If there is a life change event such as marriage, and you need to add multiple family members, you will need to call the Employee Advantage Hotline at 1-800-756-2886. Early next year, the registration window will re-open to provide an opportunity for you to make any changes to your eligible family member list. While the new registration process does not apply to the Friends & Family program, all control numbers, including Friends & Family, will be sent to your work and if available, personal email address starting June 14. If requested, Employee Advantage Call Center agents will continue to be able to generate control numbers for you, but they will not have visibility to any control numbers issued to you. For more information, click here to access the FAQ. If you have any questions or need additional information, please contact the Employee Advantage Hotline at 1-800-756-2886, Monday – Friday from 8:00 a.m. – 8:00 p.m. ET. It’s Simple. Time Is Money. View All LaethemLease™ Models And Trims Below! Are you being charged sales tax on retail incentives at signing? 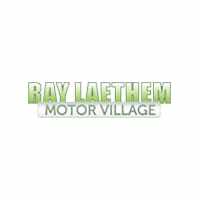 Ray Laethem Chrysler Jeep Dodge RAM- Customer Service Above All Else!